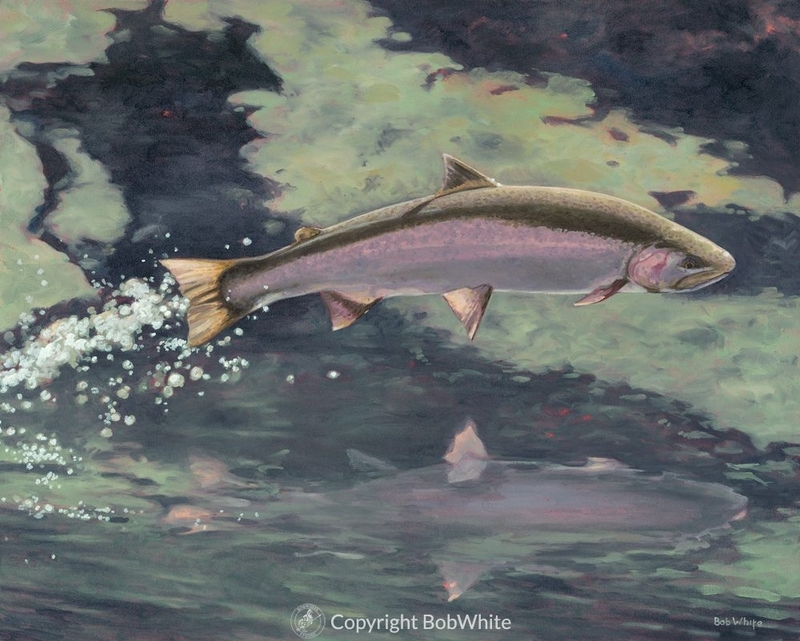 This image was created to illustrate John Gierach’s Sporting Life column in the the Autumn 2013 issue of Fly Rod & Reel magazine. The framed original oil on stretched canvas measures 30 x 24 inches. Limited edition giclee prints are available for purchase.